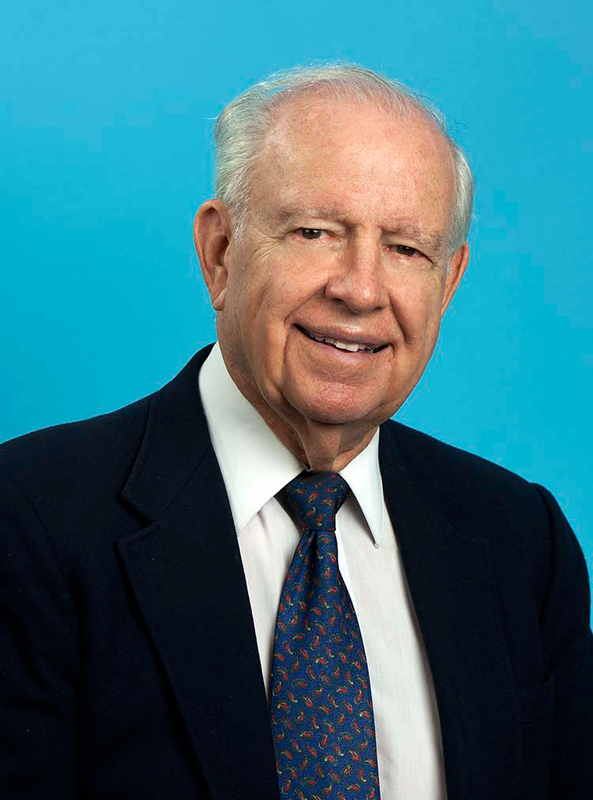 A longtime University of Florida College of Veterinary Medicine faculty member who spent his career working to improve public health, the health of livestock and the lives of veterinary medical students through scholarship support passed away Sunday (Jan. 31) at the age of 83. Paul Nicoletti, D.V.M., M.S., a professor emeritus of infectious diseases at the college, was a 1956 graduate of the University of Missouri’s College of Veterinary Medicine and received a Master of Science degree from the University of Wisconsin in 1962. He began his career with the U.S. Department of Agriculture in Missouri, with later duties in Wisconsin, New York, Mississippi and Florida. Most of his career was spent with the USDA and later at UF, where he taught infectious diseases, epidemiology, public health and food safety for 25 years and influenced many veterinary medical students to consider careers in agriculture and public health. Nicoletti also served as an epizootiologist in Tehran, Iran, from 1968-1972 with the Food and Agriculture Organization of the United States. While with the USDA, Nicoletti made a lasting contribution to Florida agriculture by improving the procedures used to control brucellosis, an important disease that affects both livestock and humans. An internationally renowned authority on this disease, Nicoletti’s efforts led to the eventual eradication of brucellosis in Florida. He retired from the University of Florida College of Veterinary Medicine in 2003, after having amassed several important honors and awards for his achievement. Among those were being named Veterinarian of the Year by the Florida Veterinary Medical Association in 1994 and being presented with the college’s Distinguished Service Award in 2003. He received the Meyer-Steele Gold Head Cane Award, the highest award the American Veterinary Epidemiology Society gives, in 2010. His influence even affected people he’d never met, including a Tampa couple who purchased a ranch in the 1970s as a second career. The couple, the late Bob F. and Evelyn Deriso, willed more than half of their $2 million estate to honor Nicoletti, whom they had learned made a difference in the control of brucellosis. The $1.3 million Deriso gift resulted in the construction of Deriso Hall, the building located across from the UF Large Animal Hospital on Shealy Drive and in which the offices of food animal reproduction and medicine faculty are housed. A room within Deriso Hall was dedicated in Nicoletti’s name in 2012. A $150 scholarship from Sears-Roebuck and Co. in his youth made a transformative impact on Nicoletti’s life. Nicoletti remembered his humble beginnings and paid it forward by establishing three scholarship endowments at the UF College of Veterinary Medicine and one at his alma mater, the University of Missouri. When he retired from UF in 2003, Nicoletti created a scholarship to be awarded to a junior or senior UF veterinary medical student with financial need and who aspired to a career in public health. He subsequently provided funding to endow a second scholarship for students interested in food, animal medicine and reproduction. Since then, more than a dozen scholarships have been awarded. Thereafter, inspired by former UF President Bernie Machen’s commitment to first-generation college students, Nicoletti pledged $1 million to establish the graduate-level Nicoletti Florida Opportunity Scholarship, which will ultimately benefit veterinary medical students who are the first in their family to attend college. In early 2015, Nicoletti launched a challenge grant of $100,000 to support the college’s new UF Veterinary Access Scholarship to offset student debt load. Alumni of the college, students and others listened, and by May that goal had been more than met. A gathering for Nicoletti will be held Saturday, Feb. 6 from 3-5 p.m., with a service beginning at 5 p.m. at Williams-Thomas Funeral Home, located at 404 N. Main St. in Gainesville. In lieu of flowers, those who wish may make memorials to Office of Development, UF College of Veterinary Medicine, P.O. Box 100125, Gainesville, Florida 32610-00125 or www.uff.ufl.edu/appeals/nicoletti.